The Zhuhai-1 earth observation satellites are the video component of the Chinese Orbita earth observation system by Zhuhai Orbita Control Engineering Ltd.
Two OVS-1 satellites will constitute the prototype OVS-1 video component. 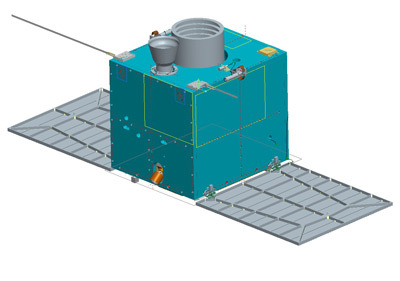 The operational Orbita constellation is to consist of ten video satellites (OVS-2), hyperspectral satellites (OHS-2) and small personal satellites (OPS-2). Both satellites feature a high-resolution video system capable of capturing 20 frames per second and reaching a 1.98-meter ground resolution. The satellites carry each a linear transponder payload for CAMSAT, which are called CAS 4A and CAS 4B respectively. The first two video satellites were launched as secondary payloads on a CZ-4B rocket in 2017. Zhuhai Orbita Control Engineering Ltd.